A high level delegation from the United Nations International Atomic Energy Agency recently traveled to Iran. Officials said the main purpose of the visit was to check on reports that the Shiite Muslim regime has stepped up its uranium enrichment program. Highly enriched uranium is the main component in the production of nuclear weapons. Iran's clerical regime continues to claim that the program is designed for peaceful purposes. However late last year, the Atomic Agency released a report detailing evidence that Iran is secretly working on producing nuclear weapons. 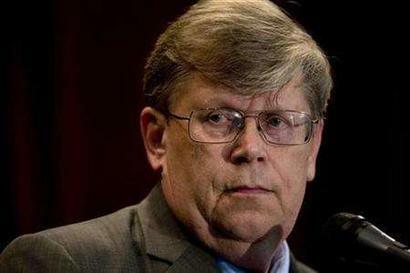 The former head of the UN agency's inspections unit, Olli Hein-onen, published an article in the prestigious Foreign Policy magazine this month in which he estimates Iran is now within just one year of having enough highly enriched uranium to produce a basic nuclear warhead. Meanwhile Iran continues to blame Israel for the assassination of yet another Iranian nuclear scientist. The scientist was killed in mid January when his vehicle was destroyed by a roadside bomb. The slain man was a deputy director of Iran's Natanz uranium enrichment facility. Iran's Vice President blamed the US and Israel for the killing.